Everyone has a favorite neighborhood Chinese restaurant. Sometimes that wonton soup can be downright comforting. And that shrimp with lobster sauce and beef with broccoli is always great on nights when you want takeout. But when you go to China, you’re not going to find those dishes there. In fact, much of the menu you’ve come to love from your local Chinese restaurant is really just an Americanized version of Chinese food. Well, truth be told, you’ll find wonton soup (called hun tun tang in Chinese) there. More on that in a moment. However when it comes to just about everything else, you’re not going to find it. So here is what you should look for. Then when you come back home, you can ask your local Chinese restaurant to make the authentic Chinese dishes you fell in love with while in China. So here is one you’ll mildly recognize. But no matter how good your favorite Chinese restaurant is, this dish is so much better in China. For starters, in the states, it is often fried in a doughy batter that hinders the taste. In China, the pork is lightly fried very rapidly at high heat, then dressed with the sauce. If this is the dish you most often order, try it in China and you will wish you’d had it this way sooner. This dish is over 100 years old. 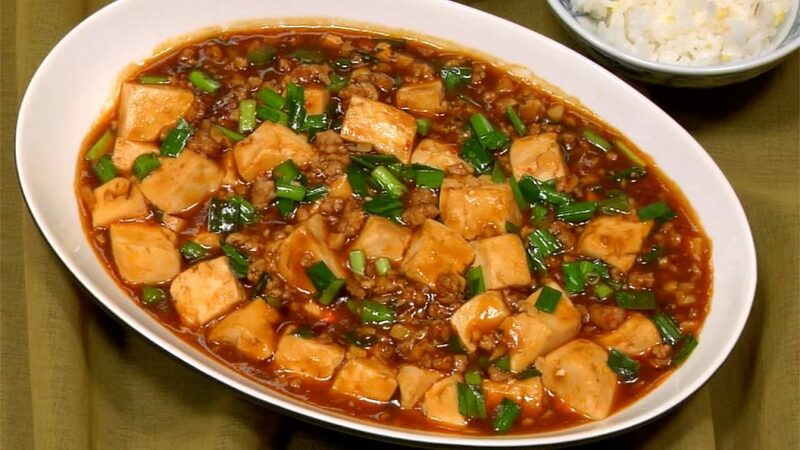 A spicy dish of tofu with browned ground beef in a savory sauce topped with green onions, it is blissful on top of a hot mound of rice. You may have seen this on Chinese restaurant menus in the states. 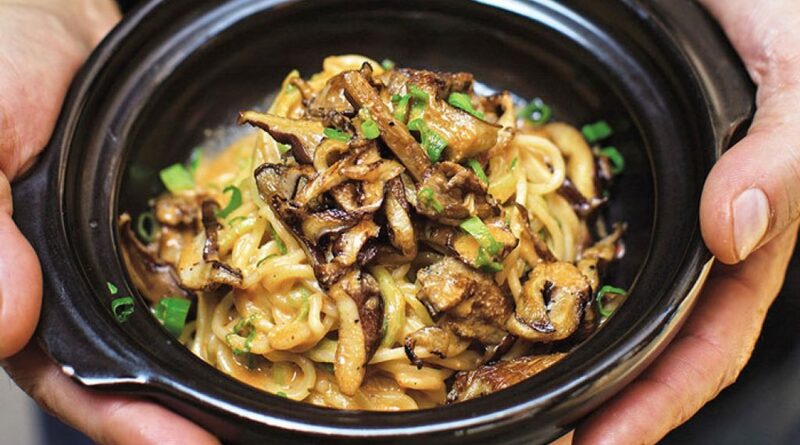 Most people skim past it, but it is without a doubt one of the best dishes in all of China for its harmonious ability to unite texture with the perfect dose of spice. Looking for something familiar? Ask for wonton soup (or hun tun tang) and you’ll be pleased to see it resemble what you’re used to it being. Sometimes, the broth is less golden than you’re used to, however the wontons (hun tun) are absolutely spectacular. They’re most typically filled with minced pork or even diced shrimp. Sometimes, it will be a mixture of the two. 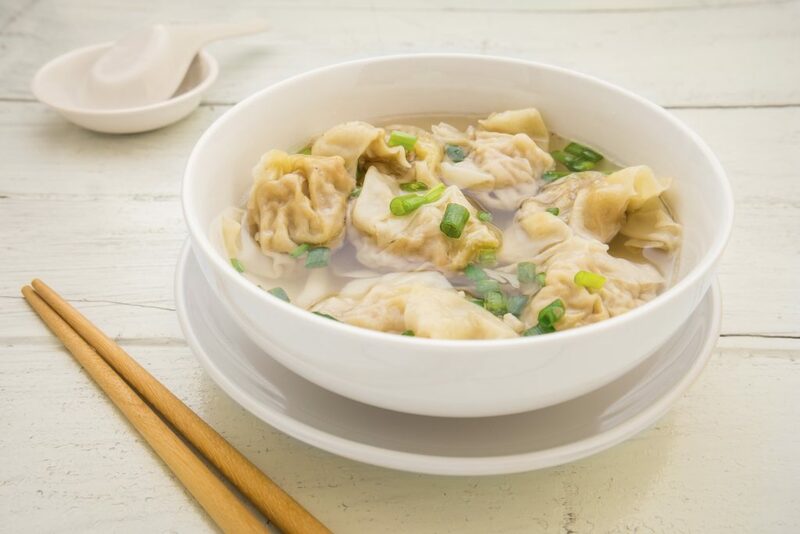 As a hearty and comforting food, Chinese people have the custom of eating wontons at the winter solstice. They’ve been doing this since the Tang Dynasty which was from 618 to 907. Ok, so those ubiquitous pork dumplings you can get steamed or pan-fried at any Chinese restaurant in America? Hate to break it to you, but those are amateur dumplings. However, if you like those, you’re going to be delighted by the ones you find in China. There are whole restaurants devoted to dumpling-making. Dumplings come in more varieties than just pork, though pork is one of the most common fillings. There are shrimp dumplings, beef dumplings, vegetable dumplings, fish dumplings, and many more. One of the best dumplings ever is with cucumber and scrambled eggs. It sounds strange but try it and you won’t be sorry! Another thing you should know about dumplings in China is that they are always served on holidays. During a Chinese holiday meal, dishes will keep being placed on the table. 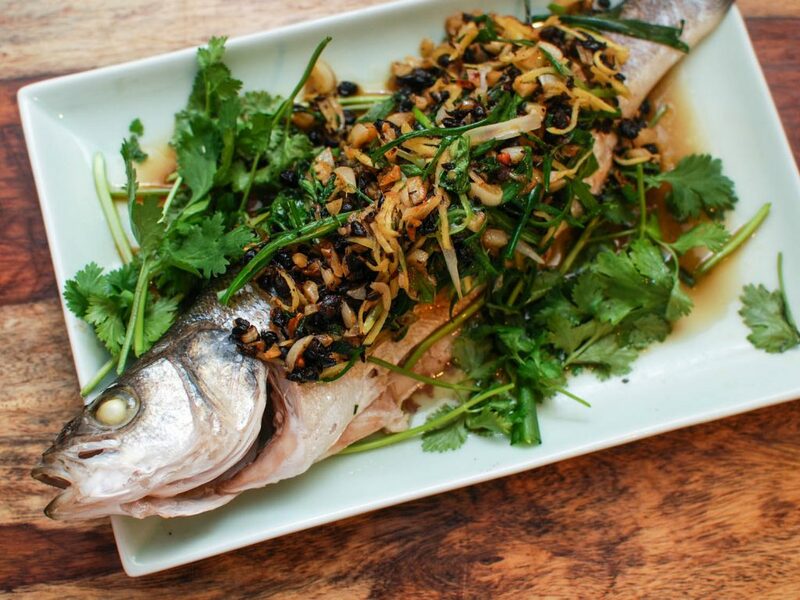 When a large whole fish is brought out, that signifies that dumplings will follow at the close of the feast, so pace yourself as you eat so you don’t offend you Chinese hosts by not tasting their dumplings, often regarded as the star of the show. 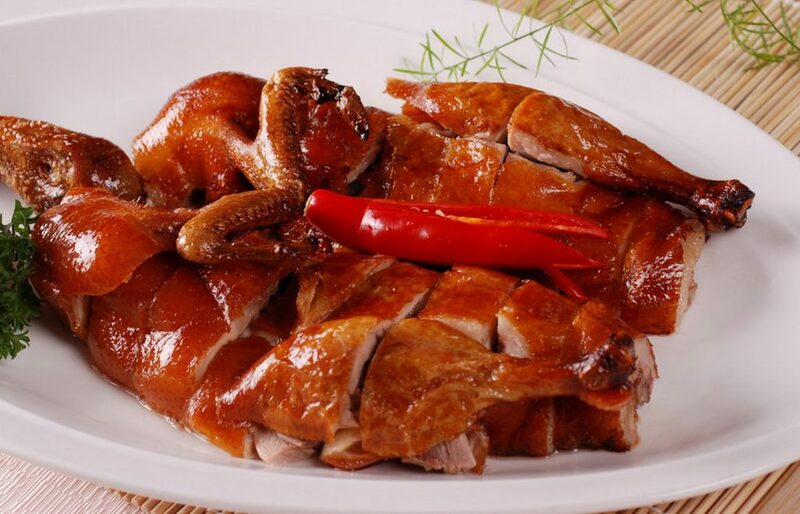 Roasted duck is the most famous dish that comes from Beijing. You’ll find it in any city though having it in Beijing is an absolute must. It is cooked in such a way that the skin is thin and crispy while the inside is succulent. It is served with savory pancakes. You’re to take pieces of the duck meat and wrap it in the pancakes with sweet bean sauce and spring onions for a mouthful of incredible delights! Known as “you xiang rou si,” this spicy chicken stir-fry is something you won’t see in the states. It consists of shredded chicken that’s cooked fast over extremely high heat along with carrots, bamboo shoots, and green peppers. 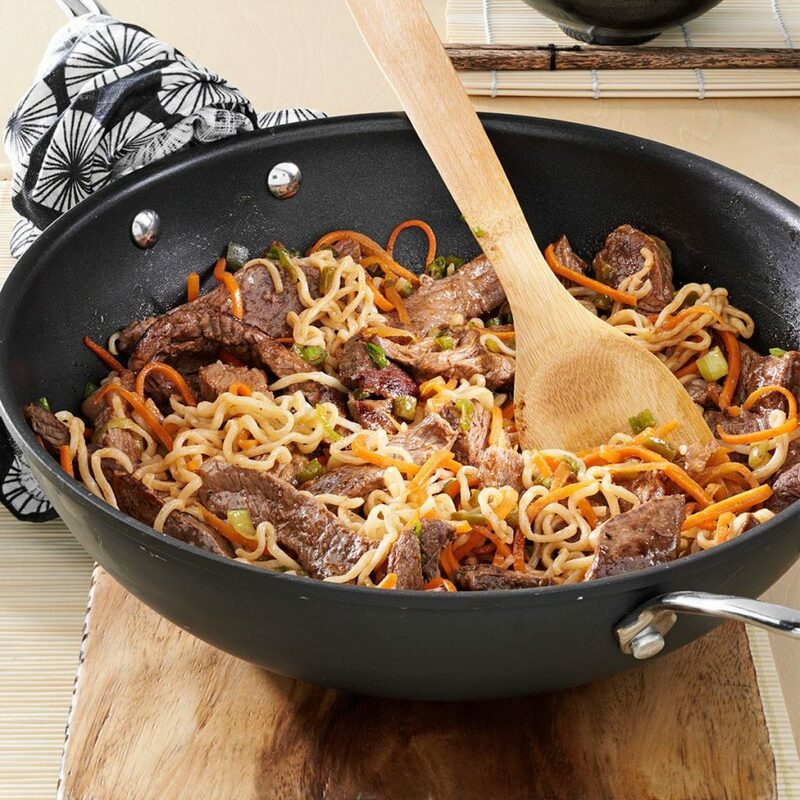 The sauce is a bit sweet and a bit sour with a heft of garlic for a pungent flavor you’ll crave. 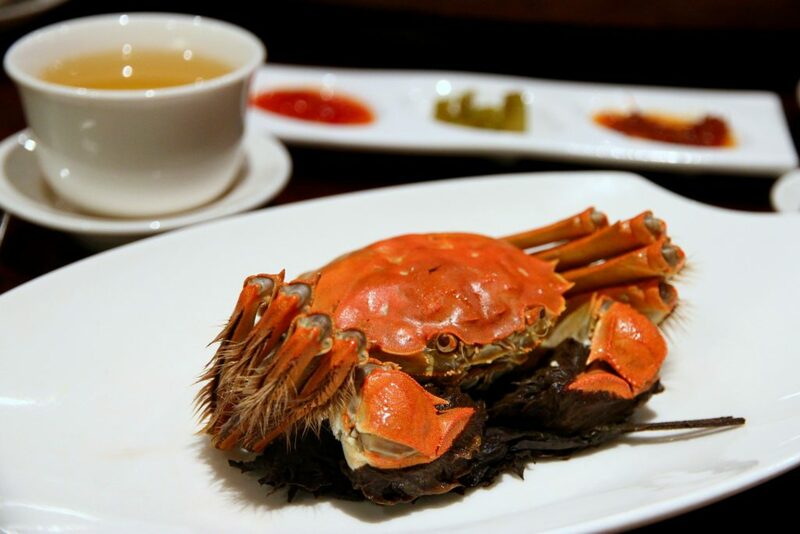 Visit the coastal cities of Shanghai or Qingdao during the fall months and you’re likely to find hairy crab everywhere you go. Steamed up to perfection, just enjoying the sweet meat from within the shells is blissful enough. Chinese people love to dip it in a sauce of dark vinegar in ginger, which some foreigners find unusual. There is no butter to dip it in so don’t bother asking. Soup dumplings are different than the other dumplings we already discussed. 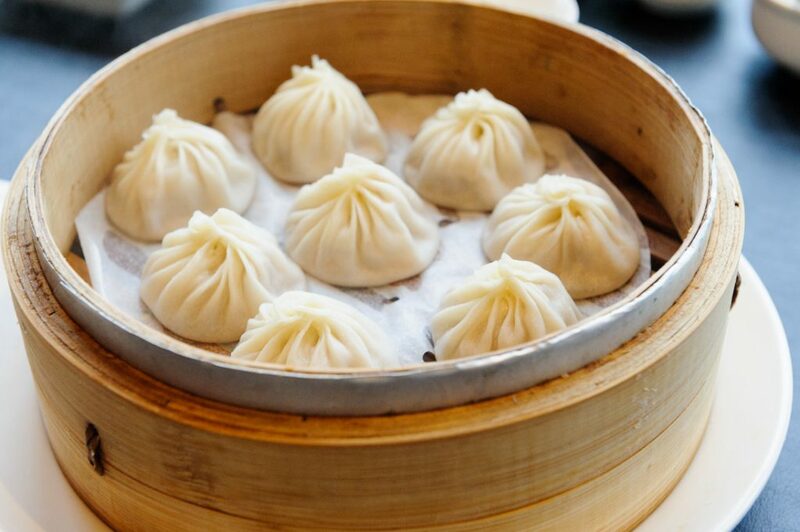 Soup dumplings are next-level dumplings. 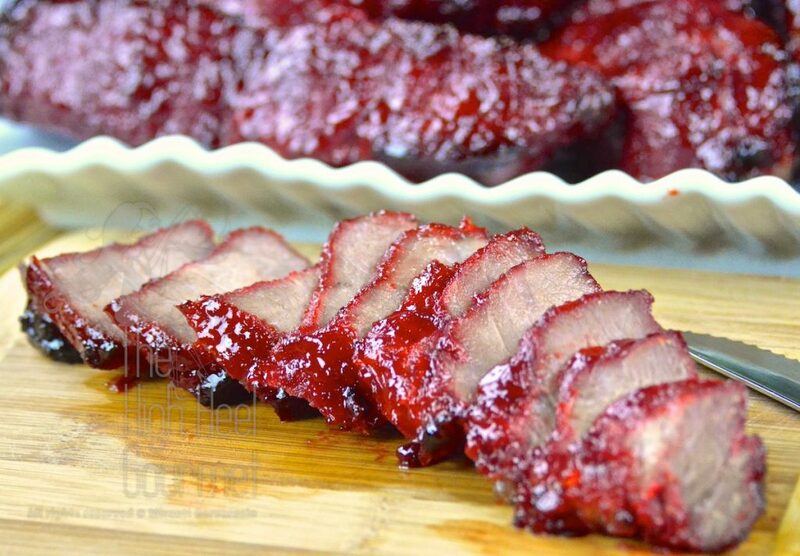 They are Shanghai’s famous dish and you absolutely must have them. 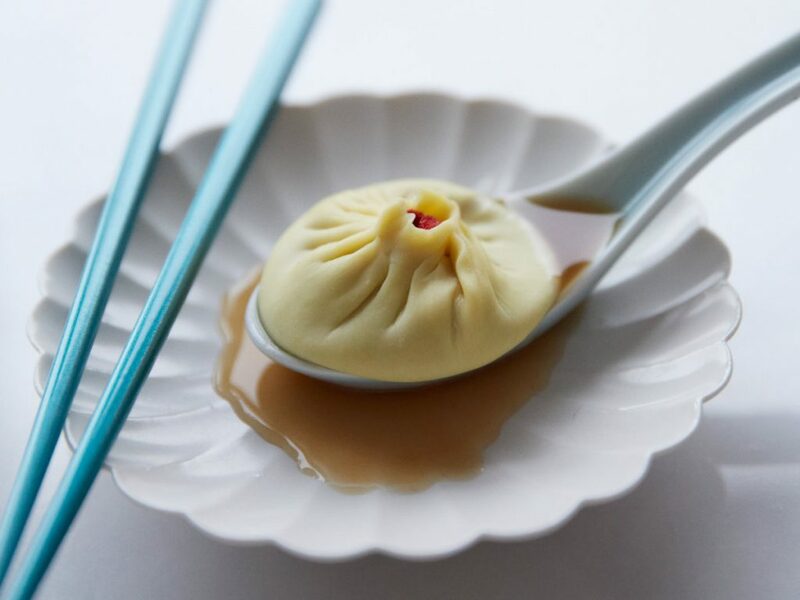 These dumplings are created to hold a broth inside of them. They are served with a deep and wide white soup spoon. The correct way to eat them is to pluck one up with your chopsticks, place it onto the soup spoon and then take a bite. When you bite into it, the soup will gush out into the spoon. As it’s usually piping hot, you should do this very gingerly. This way, you won’t burn your lips on the soup and you’ll catch that lovely broth in your spoon. In the summer months, the streets of China come alive with all the people happily enjoying the warmer weather. Whether landlocked or by the sea, you will see tons of vendors standing over long rows of charcoal barbecues with bite-sized morsels of seasoned meats grilling to perfection over an open flame. The smoky, meaty delights you’ll get are out of this world. The seasonings can be made as spicy as you want. If you’re worried about trying it out from street vendors, there are restaurants that specialize in Chinese barbecue where you can get anything from pork and lamb to squid and vegetables grilled up on your skewers. Whatever you do, don’t miss out on these! Hot pot is a Chinese favorite. It’s not just a meal. It’s a pastime. A large cauldron of boiling water burbles up in the center of the table and you order meats and vegetables to cook up yourself in this pot. Once they’re ready, you fetch them out and dip them in a savory, salty, peanut buttery sauce. 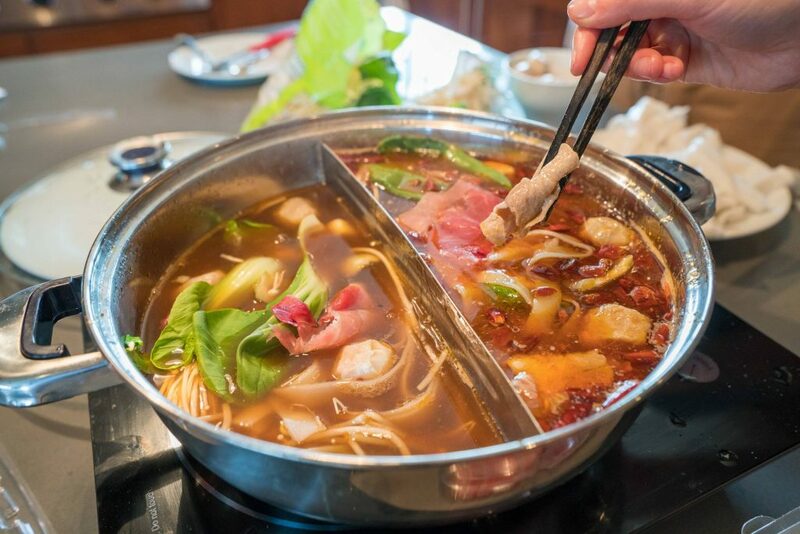 On a cold night, hot pot is the best way to spend time catching up with friends. The meal is slow-paced, everyone eating, drinking, talking and enjoying each other’s company. Taste some food here and there, clink your beers together, and nibble a little more. This leisurely pace makes the hot pot experience all the more sublime. 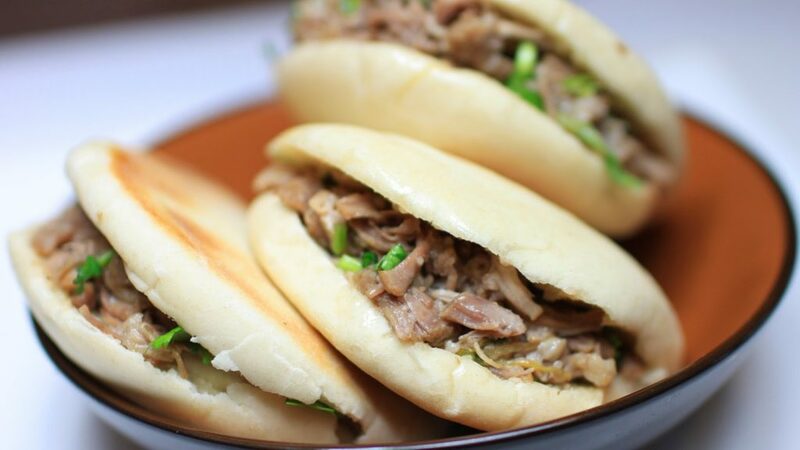 A great street food to grab on the go, you’ll love steamed stuffed buns. Balls of dough are stuffed with savory ingredients, usually pork and vegetables though there are many other varieties. Then these dough balls are steamed up and the result are these. 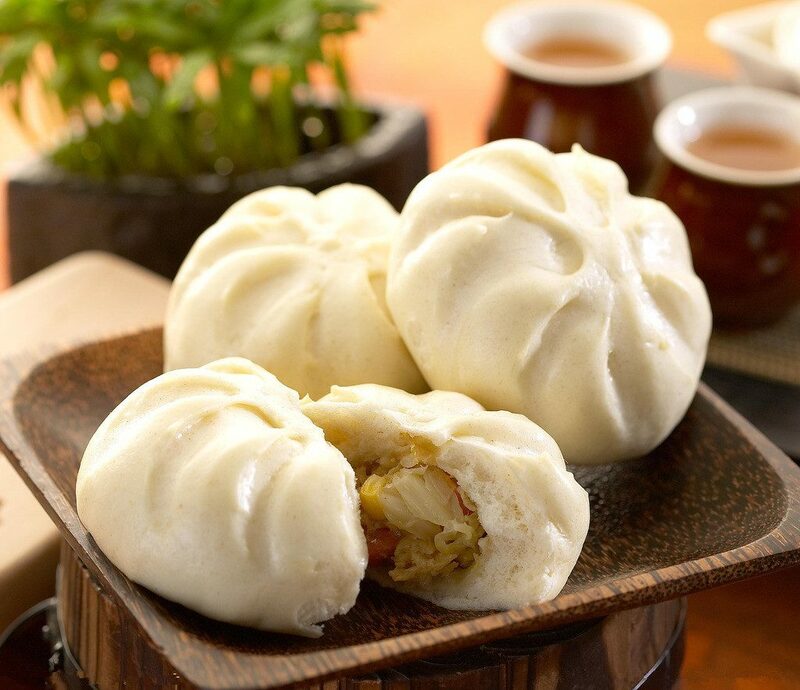 Known as “baozi” in Chinese, they are a delicious and cheap way to fill up when you’re sightseeing. Want something sweet to nibble on while you walk around? 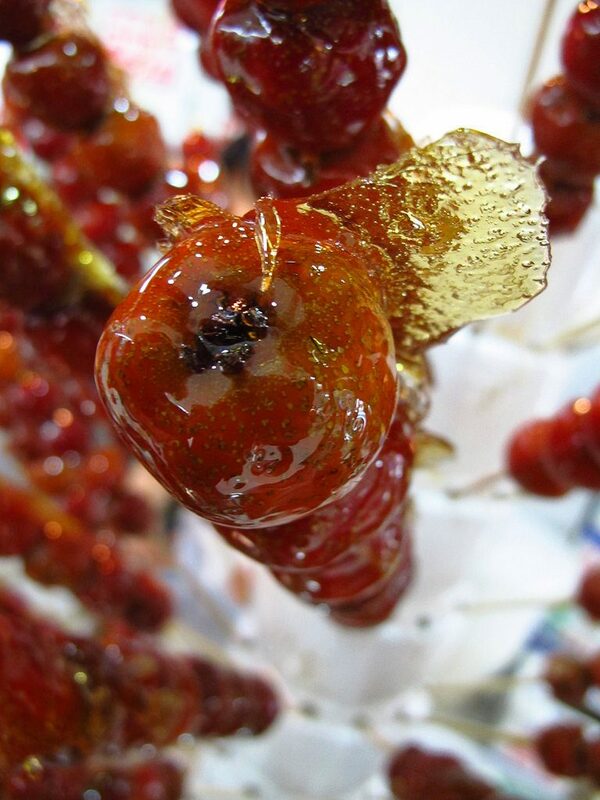 Look for a street vendors selling sugar-coated hawthorns. They’re tart but with the sugar coating, they’re sweet too. It’s like eating sweet and sour cranberries from a stick. Beware: hawthorns have pits in the center, but this sweet and gooey concoction will totally make you feel like a kid again. Some may not be impressed with this, but if you like sausages, you might want to give the ones you find in China a try. 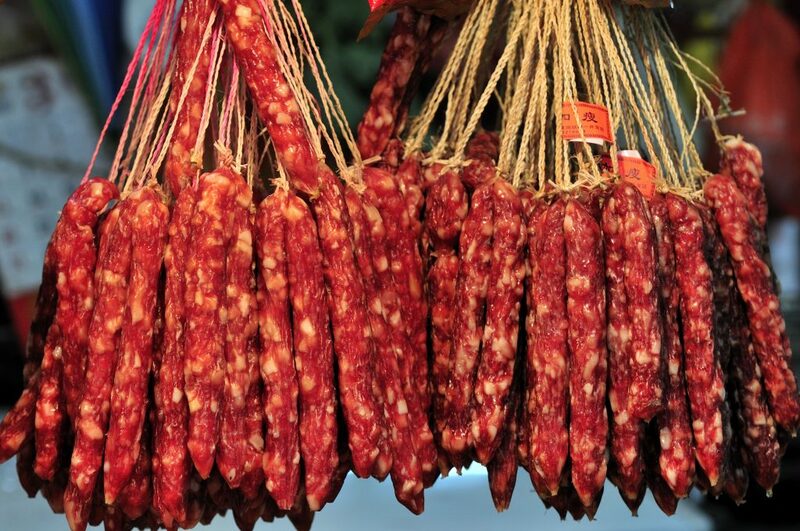 Pork sausage in China has heavy influences from Russia, which you can taste in these robust sausages dotted with fat. They’re slightly sweet and slightly smoky for a sublime taste that will fit the bill when you start feeling homesick too. 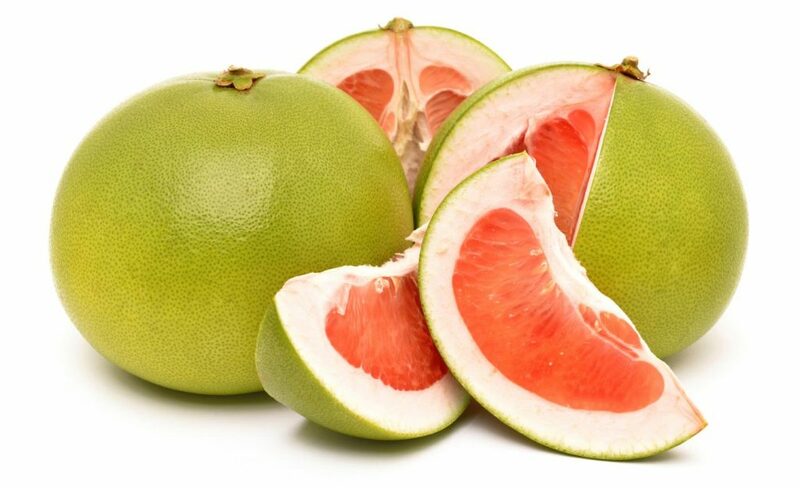 The pomelo is a citrus fruit that is really much like a giant grapefruit. You can’t possibly eat it all yourself, not in one sitting at least. Chinese people love to bring these as gifts to each other’s homes and share them over tea. 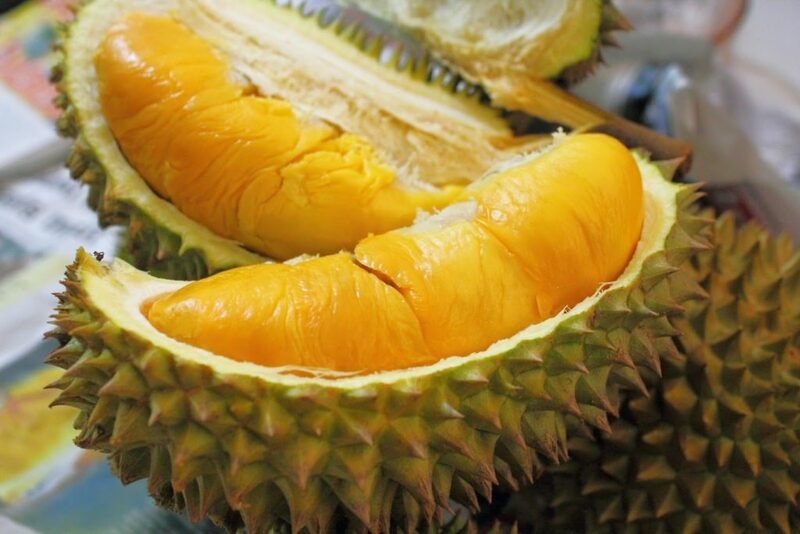 This spiky fruit has a distinctive smell. You will either love it or hate it, but it’s worth a try either way. The flesh inside has a custard-like texture and is said to taste a bit like almonds by those that like it. For those that don’t like it, the comments are not as kind. We’ll leave it up to you to decide. Most people assume that Chinese people eat rice with every meal, however that’s not true. If they’re not eating rice or even noodles with their meals then they’re eating mantou. 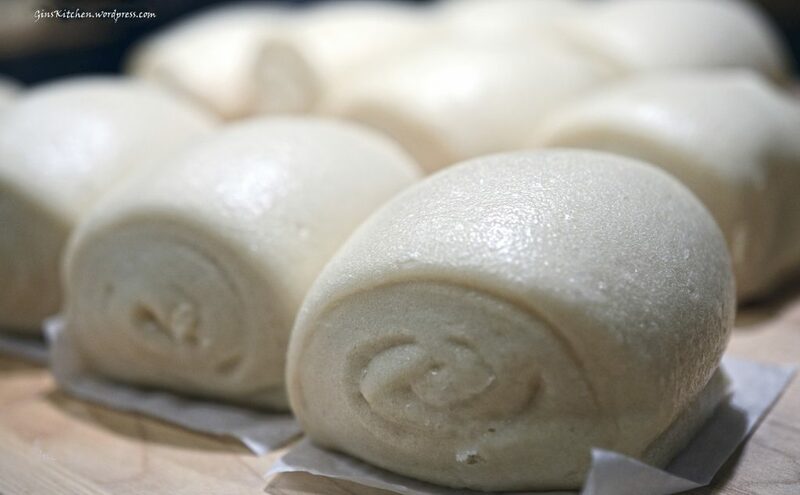 Mantou is a steamed bread. It’s mostly plain in taste and a bit doughy, but it’s good for sopping up sauces or stuffing with the meats and vegetables you’re eating to fashion a sandwich of sorts. It’s a lot like the hot and sour soup you know, but trying it in China is the most blissful experience of all. What’s interesting is that every place has their own tweak on the recipe. 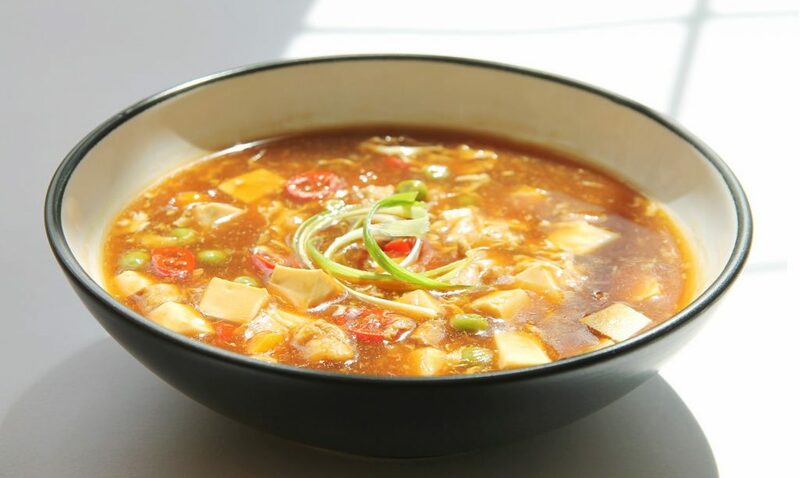 However most foreigners tend to agree that the hot and sour soup they’ve sampled in Beijing is the best in the country. Here’s another one that takes some getting used to. 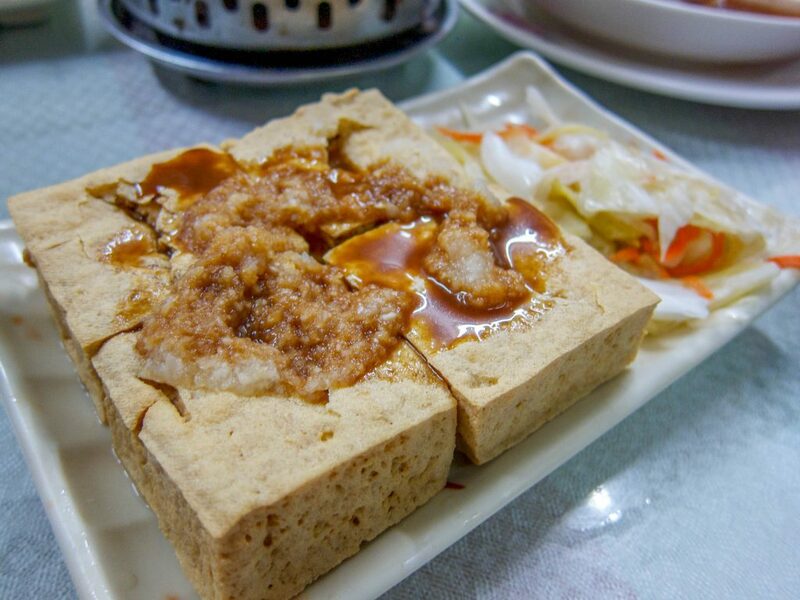 Stinky tofu is something that generally comes out at night, in the markets of course. It’s potent smell gives it the name, however the flavor tastes nothing like the stink that comes from it. 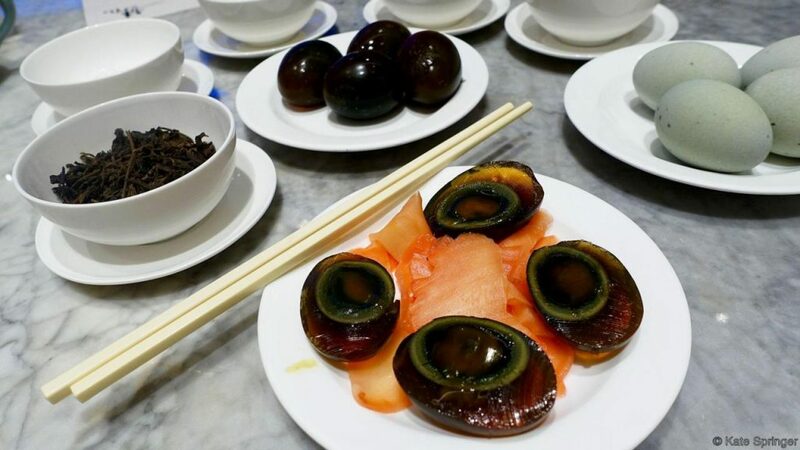 Chinese people love pickling things, but by far, the most beloved preserved item on their list is the century egg, sometimes called the thousand-year-old egg. It’s not as old as the name suggests, however they are preserved for a short while in a combination of clay, salt, ash, quicklime, and rice hulls. The result is this Chinese delicacy that is black and gelled. It’s an interesting taste to say the least. 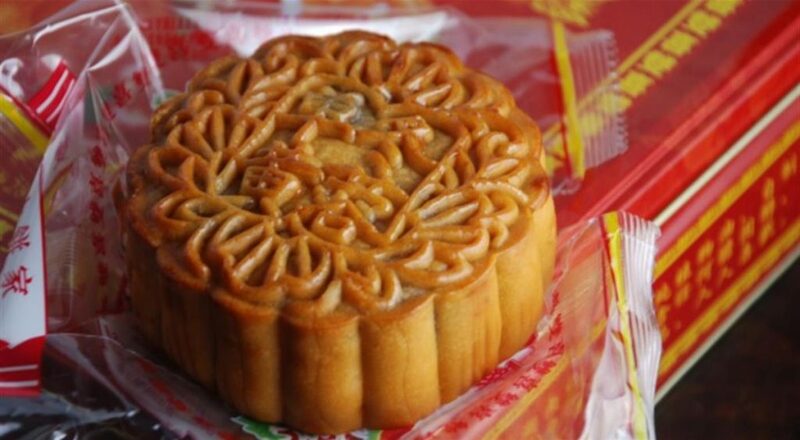 Around the autumn holidays and of course for the Chinese New Year, mooncakes are an essential component to the celebration. These small cakes aren’t meant for one person. They’re far too dense anyway. You slice them into tiny wedges and share them. They have interesting fillings inside which aren’t bad, however don’t bite into them expecting sweet chocolate. They have things like bean paste, sesame seeds, and nuts inside of them. 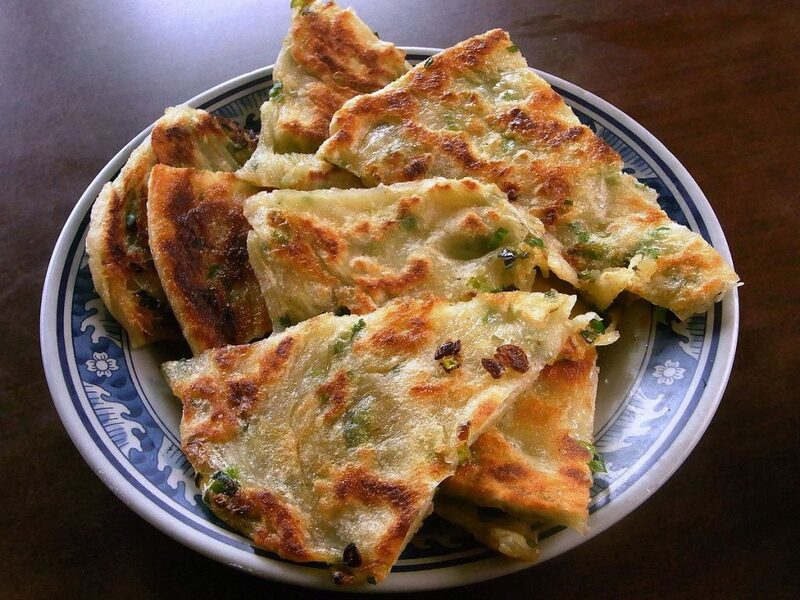 Popular in the street carts, these savory pancakes made with scallions are a popular snack for Chinese people. They’re wonderful on a chilly day so grab some from the busiest vendor and you’ll see they’re worth the wait. Soft textured and slightly sweet along with the sharpness of the scallions, they satisfy on every level. These long fried pieces of dough resemble those long donuts most of us love. Only these aren’t sweet. You’ll find them sold on any street corner in the mornings served with a soup or congee. The Chinese like to dip them into the soup for a proper breakfast. 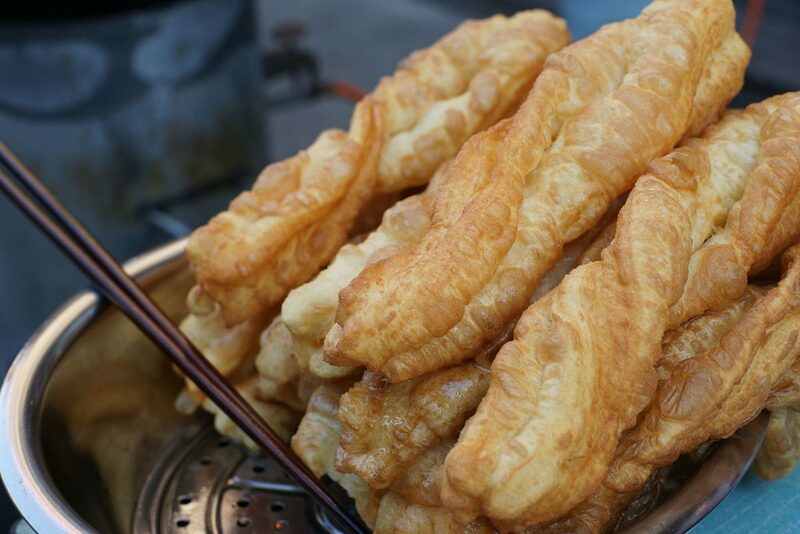 If you miss home and miss donuts (something that is hard to find except in the biggest cities), you can buy a bag of youtiao from a vendor and take it home to dip in cinnamon and sugar for a wonderful treat. 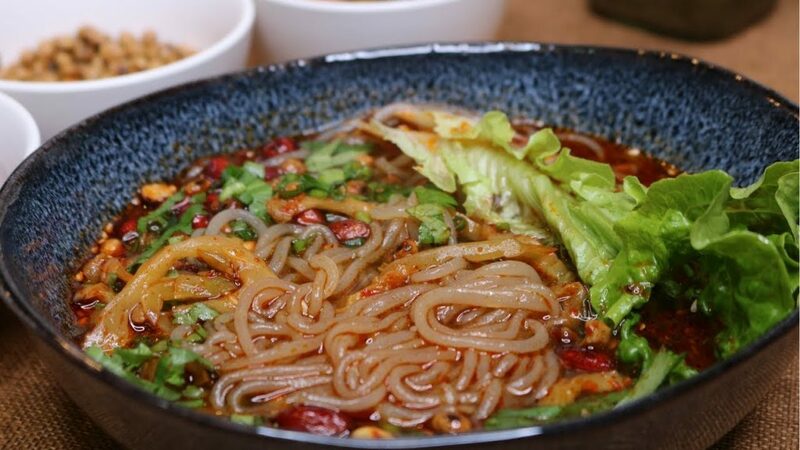 This spicy noodle dish from the Sichuan Province is considered comfort food by most Chinese people. These noodles are dressed in a spicy sauce made from preserved vegetables, chili oil, minced pork, and scallions. If you feel chilly at all, have a bowl of this and you’ll feel fire inside and out, in a very good way! Technically, this dessert came from Hong Kong, which came from Portuguese influences. And now you’ll find it everywhere on the mainland. 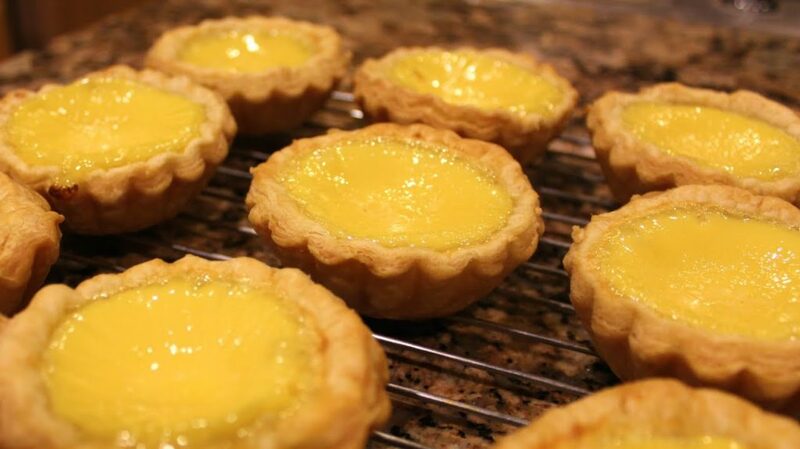 These mini custard pies are absolutely phenomenal, and you’ll wonder why your local Chinese place doesn’t offer these for dessert. It’s fun to try the different flavors too. Try it the original way first. Then try it with fruit in the middle. Berries and others delights can be found inside and they are so sweet and wonderful, you should sit down somewhere with a bubble tea and enjoy them all. 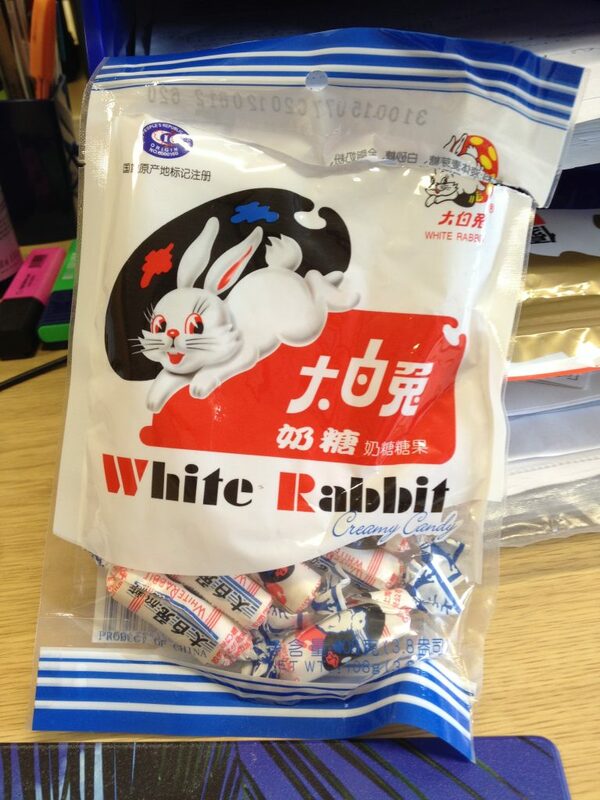 These creamy, white and chewy milk candies are among the most popular candies in China. You’ll find them at the markets and can buy a bagful of them for cheap. They make for a wonderful souvenir or a sweet treat to present to your hosts, especially if they have children. Children of course love these candies and will crowd around you for a piece. Originally from Taiwan, bubble tea is a truly refreshing and very unusual drink. 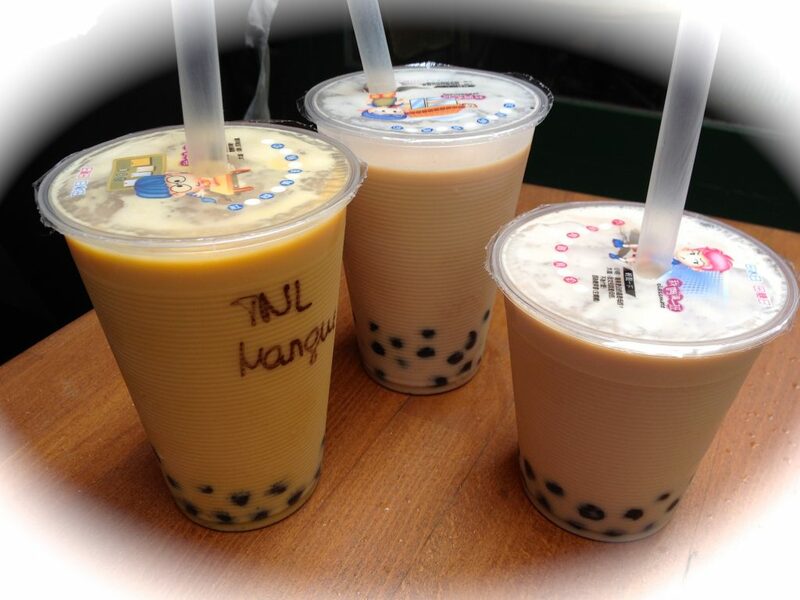 Generally speaking, bubble tea is made from a tea base that is mixed with fruit or milk. Then chewy tapioca balls (or the bubbles) and fruit jelly are added. There are tons of varieties to try out but we recommend the bubble milk tea with tapioca or the bubble milk green tea with tapioca. One taste and you’ll wish you could drink one every day! Before you gag, please know that there is no actual saliva used in the making of this popular Sichuan dish. Chinese words and names often translate into unsavory or bizarre descriptions. So what is this drool-worthy dish made of? 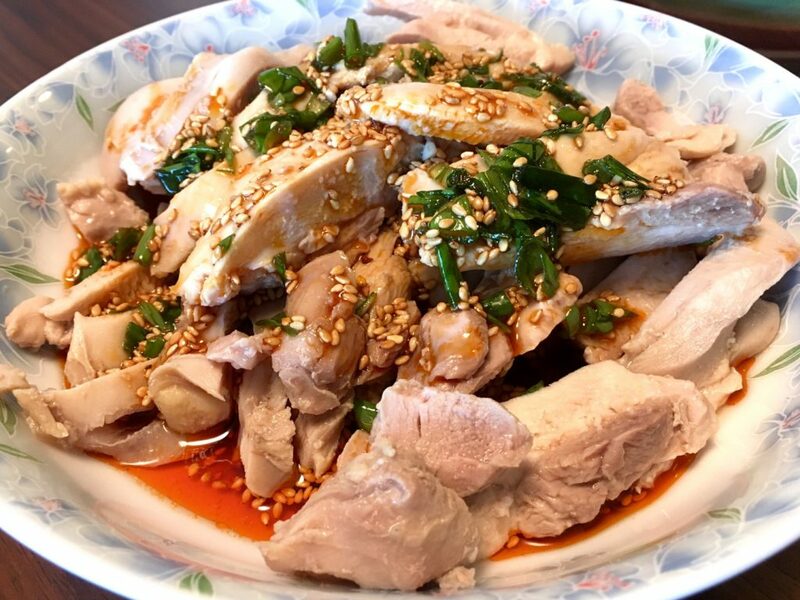 It’s boiled chicken that is marinated in a sauce of chili and sesame oil. There are 10 spices in this dish which renders this marinated chicken incredibly spicy. Originally from Chongqing, this cheap eat is considered a snack for Chinese folks. Even though it’s from Chongqing, you’ll find it all over China. It contains sweet potato-based glass noodles swimming in a soup made from chili paste, soybeans, chili oil, and lots of vinegar. Want to try them? Look for one of the busy food streets in the city you’re in and you’ll be sure to find them. They’re spicy, so be prepared! If you’re in China for a while, chances are you’ll miss having a burger and head to McDonald’s (there’s one in every city) or even Burger King (a bit less common). You may even shell out more money to go to a nicer Western restaurant where you can get a big beefy burger like back home. But whatever you do, you need to have a Chinese hamburger. If you want that back home taste, it won’t make you happy, however if you are ready to try a different take on a hamburger, you’ve got to try it. It will become one of your favorite Chinese snacks. This version of a “burger” (we use the term loosely) consists of a stone-oven cooked bun filled with seasoned pork inside. This pork is often simmered overnight in a giant pot of Chinese spices so that by morning, it’s ready to delight taste buds everywhere. 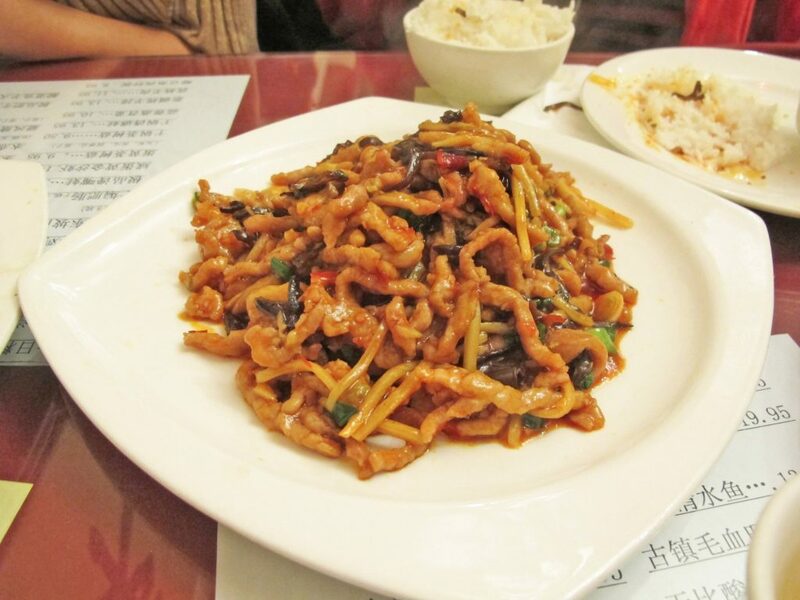 While not like an American burger, it’s a tasty Chinese food you’ve got to make room for. It’s a simple and ubiquitous Chinese dish that you’ll find everywhere. Everyone has their own unique recipe for it though so it is fun to taste it in different parts of the country to see how the flavors change. It’s generally cheap too, so it will fill you up without bleeding your wallet dry. 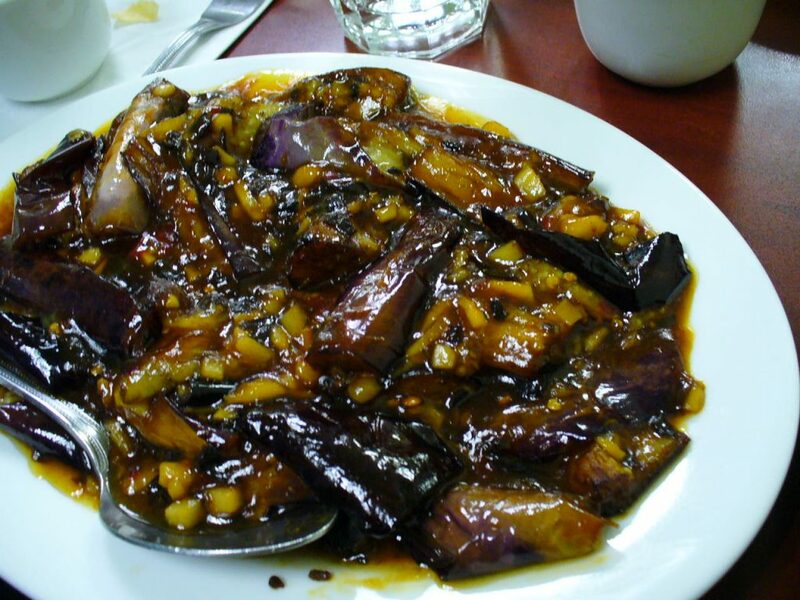 If you like eggplant, China is really the place to be. Eggplant is readily available there and is really cheap too. You’ll find they’ve developed many delicious ways to eat it. 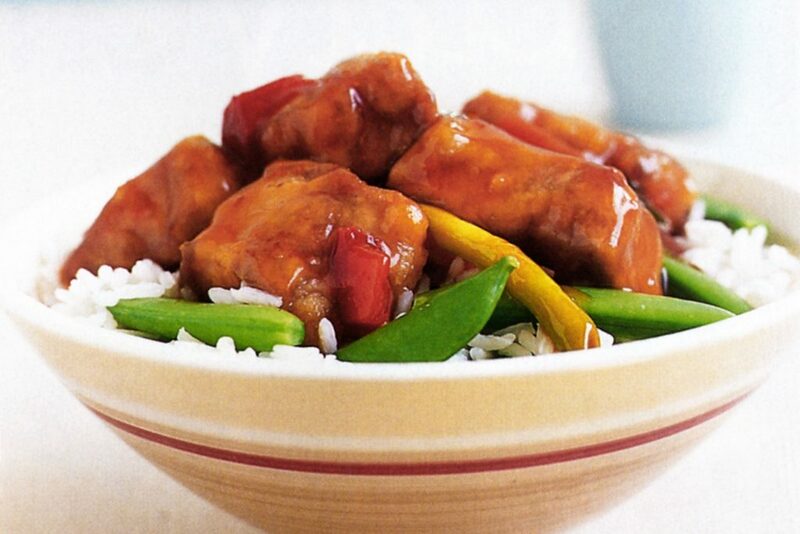 In a sweet and sour sauce is just one way. Again, it’s nothing like the gloppy gloopy sweet and sour sauce drowning the pork in American-Chinese restaurants. It’s truly delightful here, and whether you choose eggplant or pork (and in some places you’ll find them both in one dish! ), you’ll be glad you did. This dish, often called la pi, is an interesting and strangely pretty dish to order. 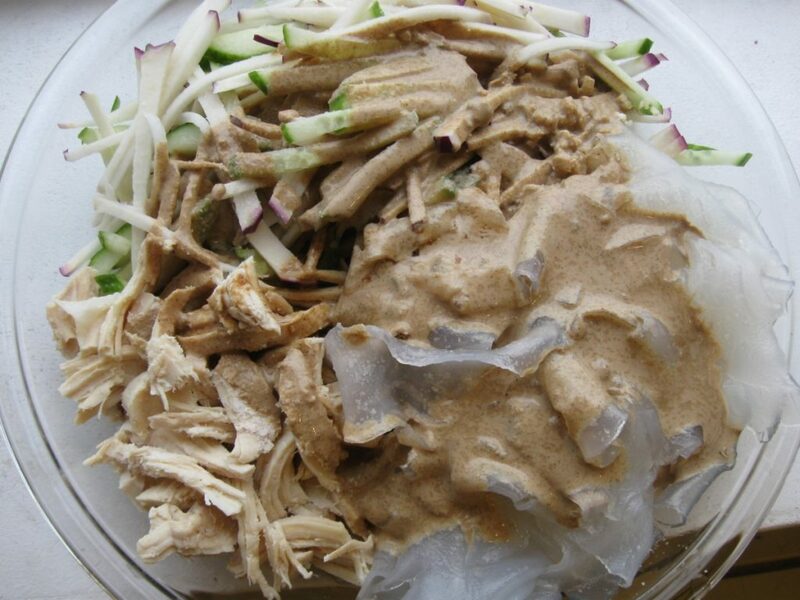 It’s a dish of cooked chicken that’s shredded up and mixed with cucumbers and mung bean sheets, which are these oddly-textured fat, wide noodles. The sauce is this garlicky with a punch of vinegar and it is absolutely incredible. What makes it so different from almost every other Chinese dish is that it is served cold. They serve so few things cold in China, based on their beliefs that cold things are bad for you. La pi is often served in the summer as one of the starter dishes to a big meal. Finally, let’s end with this Chinese dish that can also come in many forms. At a big dinner like one for a holiday or birthday celebration, you’ll find a whole, big fish will come out to the table toward the end of the meal. It’s almost like a finale of sorts. You’ll find this made a variety of ways. In the Sichuan Province, it’s incredibly spicy, but in other places, it tends to have more of a ginger and fish sauce flavor to it. Save room though. Those dumplings will come out after the big fish! More about chineese cuisine at Wiki.